Panasonic predicts record $10 billion annual loss | What Hi-Fi? Panasonic has widened its annual net-loss forecast to $10.2 billion, the largest loss in the company's 94 year history. President Fumio Ohtsubo has already announced structural reforms alongside plans to revive its TV business, as we reported earlier this week. Declining sales across the world were exarcebated by the earthquake in Japan and the floods in Thailand, which both badly affected plants and their suppliers. Panasonic's forecast losses have been mirrored in recent financial announcements by Hitachi, Sharp and Sony, who announced a quarterly loss of £1.3bn. 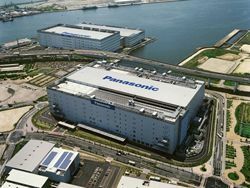 For the three months ending December 31st, Panasonic reported a net loss of 197.6 billion yen, part of the annual net-loss forecast of 780 billion yen ($10.2bn). The company is set to make changes to its TV business, dropping less profitable sizes and aiming to halve production costs. After purchasing Sanyo, Panasonic is also looking to expand its solar power and rechargeable battery businesses.